A beautiful antique 19th century French hand-coloured engraving, framed. 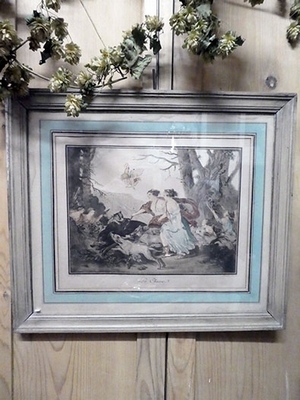 A lovely engraving titled 'La Chasse' (the chase). 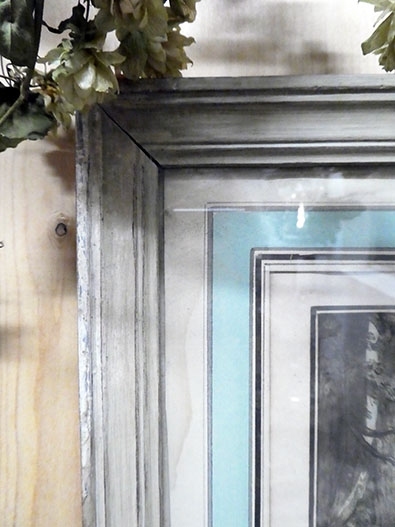 Has a very nice passe-partout and a beautiful original frame with soft grey paint. With glass. In excellent condition. Total size approx. 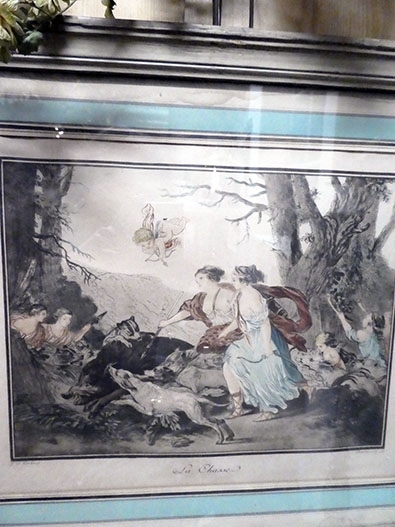 44,5 x 38,5 cms, engraving size approx. 27,5 x 20,5.